After completing his LL.B. 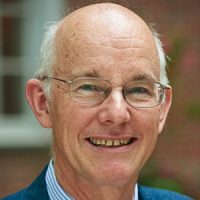 with first class honors at the University of Canterbury in New Zealand in 1981, Professor Kingsbury was a Rhodes Scholar at Balliol College, Oxford. In 1984 he graduated at the top of his class in the M.Phil in International Relations at Oxford, supervised by the distinguished theorist Hedley Bull. He subsequently completed a D.Phil in Law at Oxford, supervised by Chichele Professor Ian Brownlie QC, and thereafter held a permanent teaching position in the Law Faculty at Oxford before moving to Duke University in 1993. Kingsbury has been on the permanent faculty at the Law School since 1998. He served for 10 years on the Editorial Board of the American Journal of International Law, and was awarded the Journal's Deak Prize for the best article by a younger scholar. He is a member of the Scientific Committee of the Centro Internazionale di Studi Gentiliani, and of the Advisory Boards of numerous book series and scholarly journals. Kingsbury's research and publications reflect a strong commitment to a broad, theoretically-grounded approach to international law, closely integrating work in legal theory, political theory (including international relations theory), and history. With NYU colleague Richard Stewart, he initiated and directs the IILJ's Global Administrative Law Research Project, a pioneering approach to issues of accountability and participation in global governance which includes several books and journal symposia and more than 250 scholarly papers by different authors. His article with Kevin Davis and Sally Merry on Indicators as a Technology of Global Governance (2012), and edited books on Governance by Indicators (OUP, 2012) and The Quiet Power of Indicators (2015), helped frame that field. He has sought to make an ethical case for sovereignty and for a critical positivism in international law. He is prominent among legal scholars who have argued for the importance and explanatory power of constructivist approaches to concepts such as "compliance" and "indigenous peoples." In works on the Grotian tradition in international law, and on such writers as Alberico Gentili (1552-1608) and Lassa Oppenheim, he has traced the role of particular theories of international society and international politics in the history of international law. Two of his co-edited books on Gentili's work were published by Oxford University Press, and he became an Honorary Citizen of San Ginesio, Gentili's birthplace, in 2010. He was awarded an honorary doctorate in law by Tilburg University in the Netherlands in 2016. Kingsbury has written on a range of specific contemporary international law topics, extending from investor-state arbitration and inter-state arbitration to trade-environment disputes and the proliferation of international tribunals. United Nations, Divided World, co-edited with Sir Adam Roberts, was published in a Chinese edition in 2010. He has had extensive academic and practical involvement with issues relating to indigenous peoples. Kingsbury has been a visiting professor at Harvard Law School, the University of Tokyo Law Faculty, the University of Padua, the University of Paris-I (Pantheon-Sorbonne), and the University of Utah. He was the inaugural Caldwell Lecturer at Trinity College, University of Melbourne, and the New Zealand Law Foundation Distinguished Visiting Fellow.